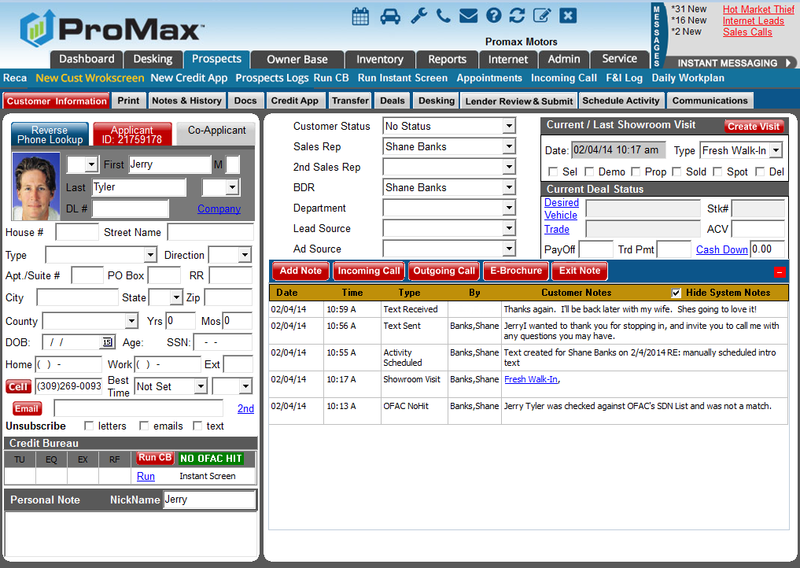 ProMax Unlimited has texting built into it's CRM. What is the best way to stay in touch with your customers? More and more studies show what we intuitively know to be true: that we read and respond to our text messages. Over 90% of people have their phone with them at all times, and text message response rates are typically between 95 and 99%, while email and other avenues are lucky to hit 20 or 25%. The bottom line? Being able to communicate with your customers via text is essential in today’s market. 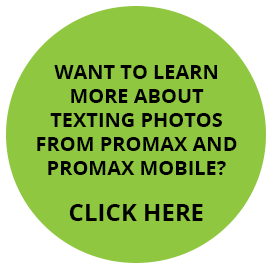 ProMax and ProMax Mobile offer a texting solution that is simple, powerful, and inexpensive. For a low monthly rate, your dealership can send and receive nearly unlimited text messages. After a quick initial setup, you can add texting to your process by scheduling activities and follow-up, and configuring a variety of great messages to be used for a number of occasions. 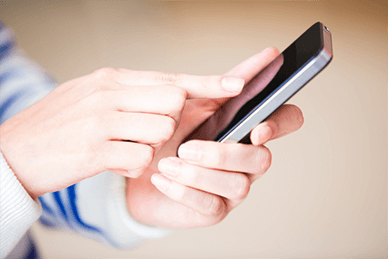 Messages can be sent in a variety of ways from within ProMax , and also from any smartphone or mobile device with ProMax Mobile. Every Customer Workscreen with a cell phone number contains a link to the easy-to-use editor. All messages sent and received are documented on the Customer Workscreen. Send a text to your customer now, or schedule one for later. Configure certain types of messages to fit certain statuses with Automated Follow-Up. Several time-saving professional messages are included for events like service reminders, appointments, and vehicle inquiries. Create your own templates for repeated use, and drop in variables for more personalized content. Reps can craft and send messages right from their Daily Workplan. It’s part of their daily process along with calls and emails. Accountability is built into the system and ensures that all necessary contacts are being made. 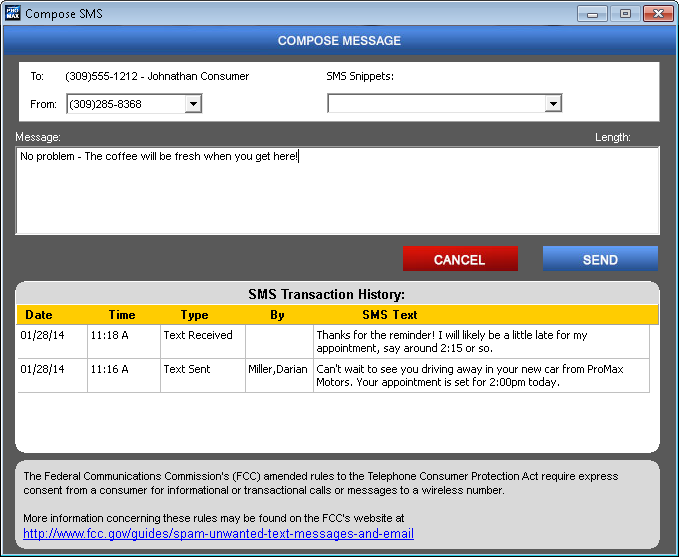 It’s also easy to add links and vehicle photos to your texts, all from within ProMax Mobile. All dealerships receive a personalized Virtual Phone Number with an Area Code that will be familiar to your customers. 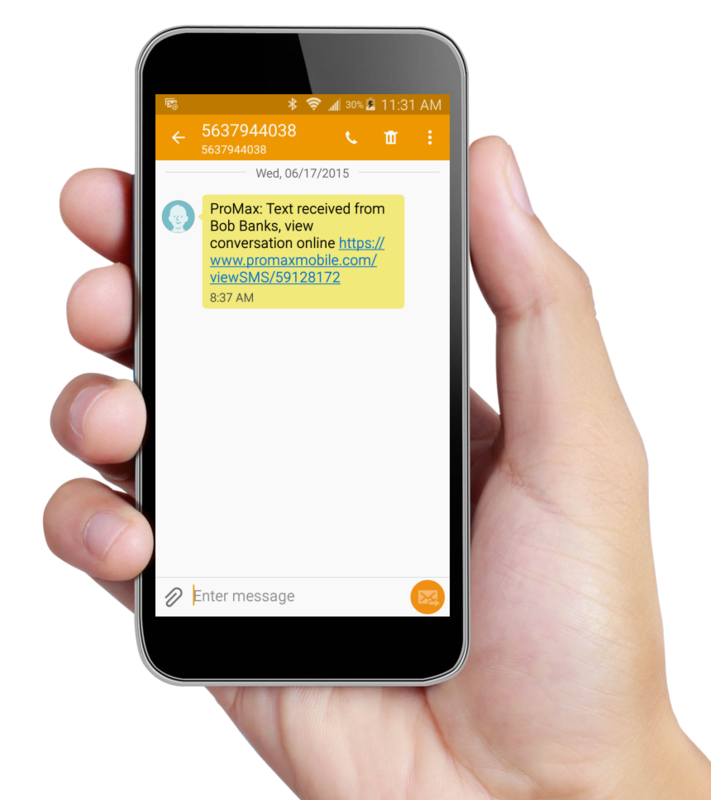 When a customer responds to your text (depending on how you configure your system) you can opt to receive it directly to your phone, to receive it via an instant message in ProMax, or both. All of this activity is recorded on the Customer Workscreen. Inbound texts from new prospects will auto-create leads in your system.